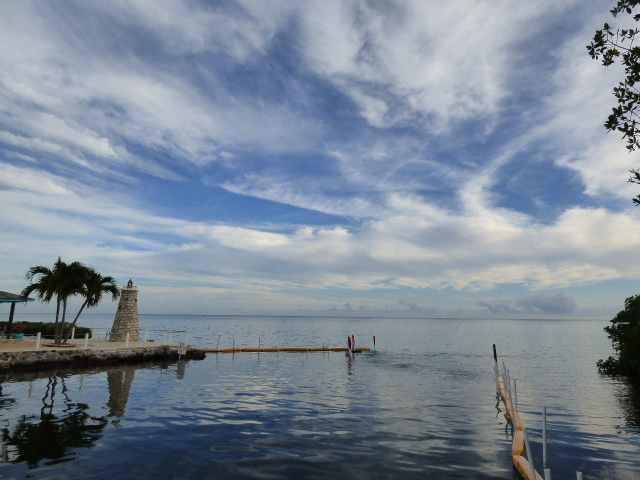 We were here in Marathon, Florida for the month of January. This is our view of the Atlantic Ocean at the end of the road in our RV park. Those yellow things floating on the water are designed to keep sea grass from floating into the canal. There are bubblers under the water to make little waves to keep the grass from floating in the smaller entrance. It works well. This was my favorite picture in the February folder. 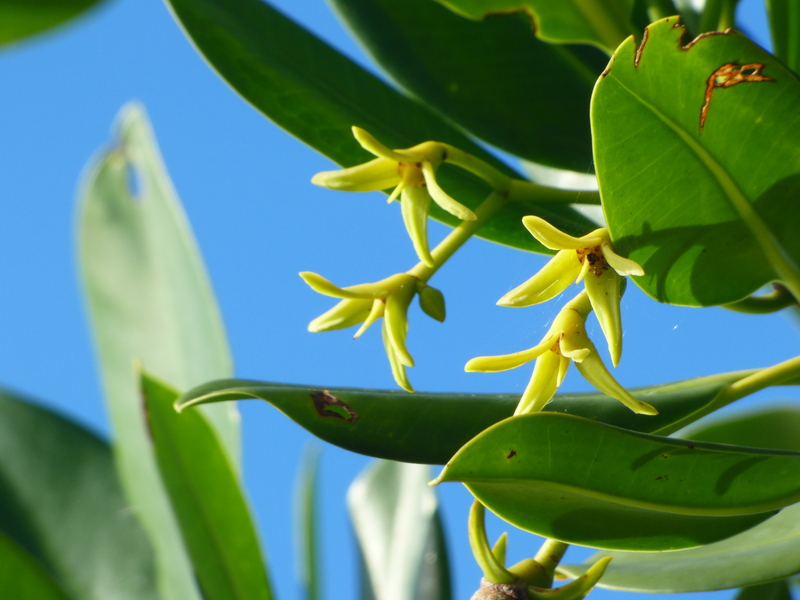 It is of red mangrove blossoms. Red mangroves are the ones that grow in the water and have those gnarly prop roots that make a mangrove forest impassable. The blossoms are small and not usually noticeable. 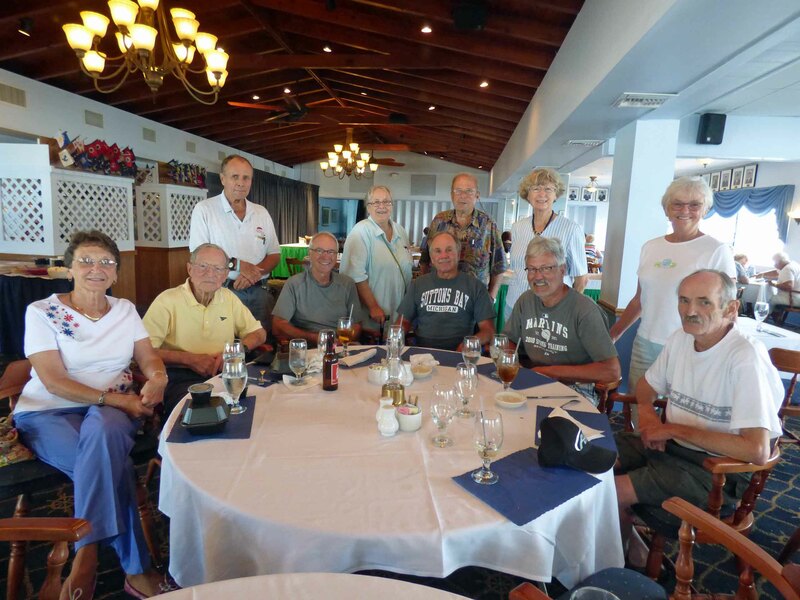 One memorable thing that represents March 2015 was inviting a number of friends to the Marathon Yacht Club to eat French dip sandwiches for lunch about once a week. We called ourselves The French Dippers and it was always a good time. We hit the road for our summer trip in April. 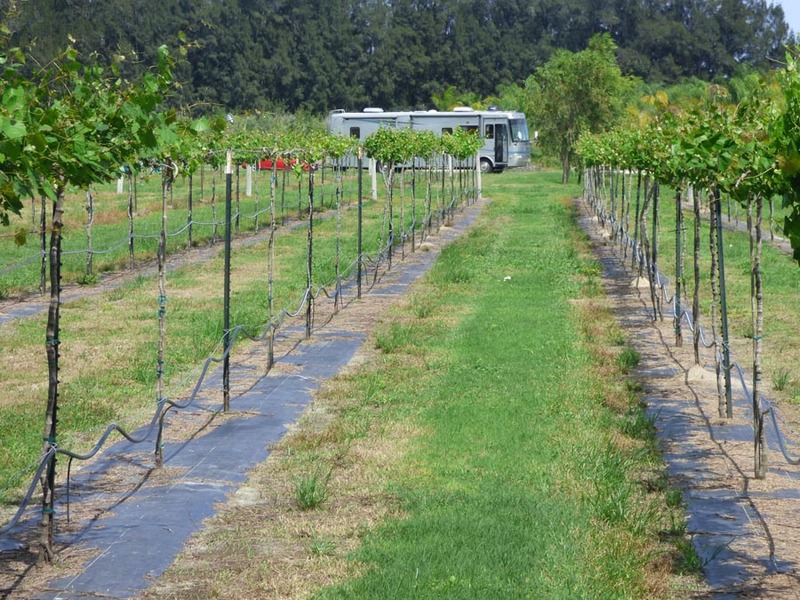 Here is Sao, our motorhome, parked for the night in a vineyard in Fort Pierce, Florida. That was our first night out. 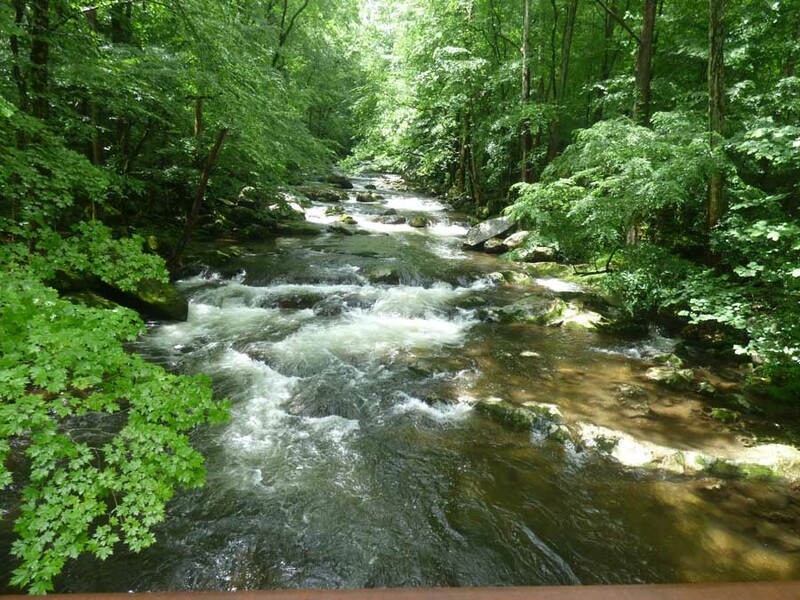 May was our first month in Big Creek in The Great Smoky Mountains National Park. This is the swimming hole in the picnic area. 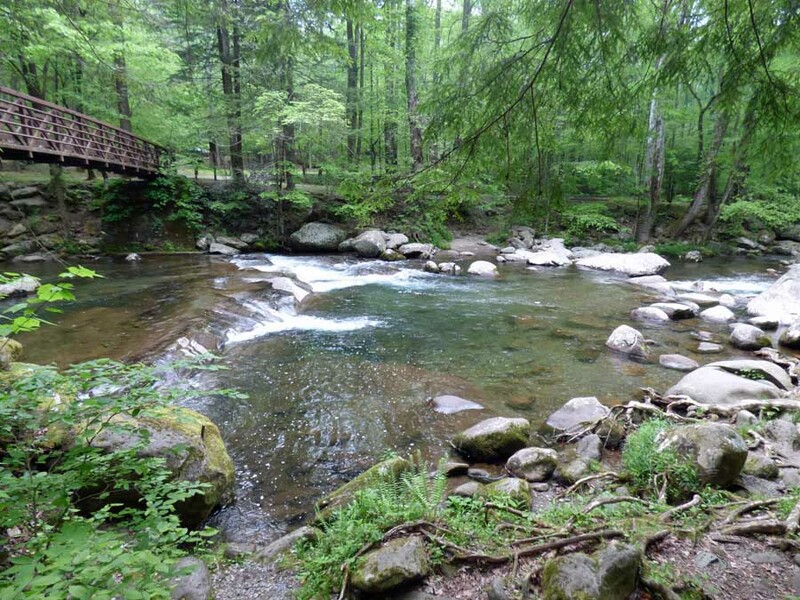 We walked out onto that pedestrian bridge several times a day to look at the creek and to watch picnickers, campers, and hikers cooling off in Big Creek. We also regularly saw fish in the pool under the bridge. 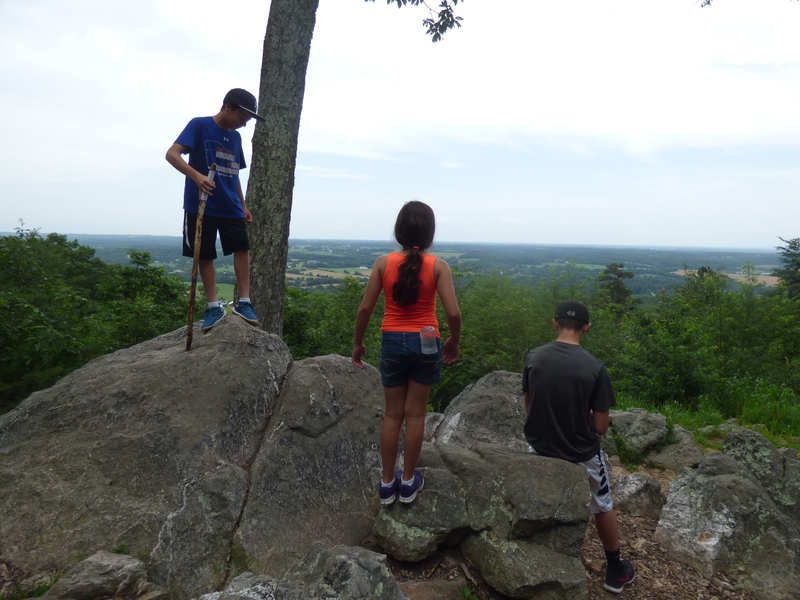 We were in Big Creek for June as well. This view is up the creek from the pedestrian bridge. In July, we moved on to Mequon, Wisconsin, just north of Milwaukee. 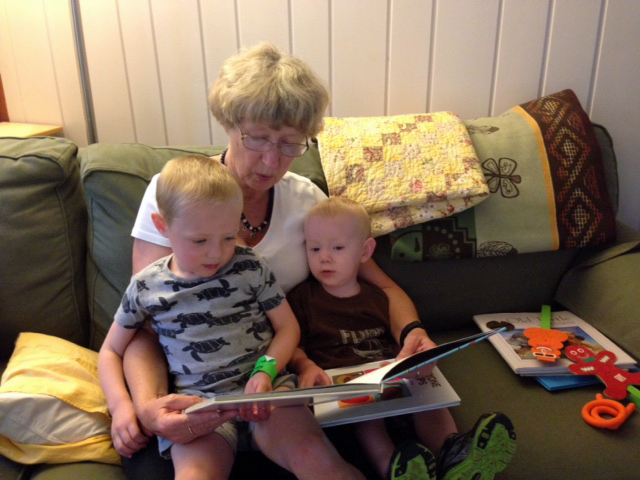 That’s grandma heaven. Owen and Cam have just turned four and two in November and December. They would come out to the motorhome every morning to wake me up and push me out of bed. I took so many pictures of them, it was tough to choose. They call me Baba Yaga because my house moves, though not on chicken feet. September was full of sights with visits to seven national parks: Arches, Canyonlands, Capitol Reef, Grand Staircase Escalante, Bryce Canyon, Zion. 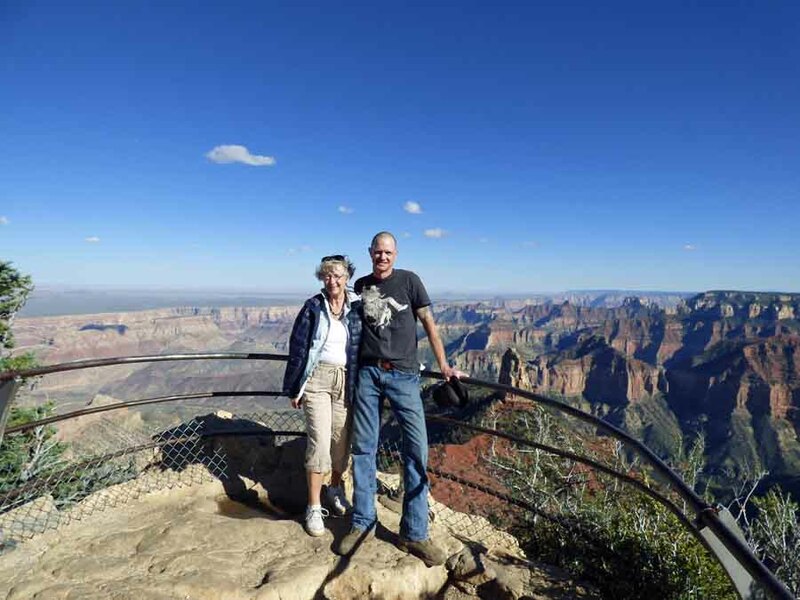 It could be overwhelming to pick a picture from there, but this one is of me with my son Christopher on the north rim of the Grand Canyon. We headed back home in October, stopping to visit friends Paul and Sheri Brindle in Lake Havasu City, Arizona. 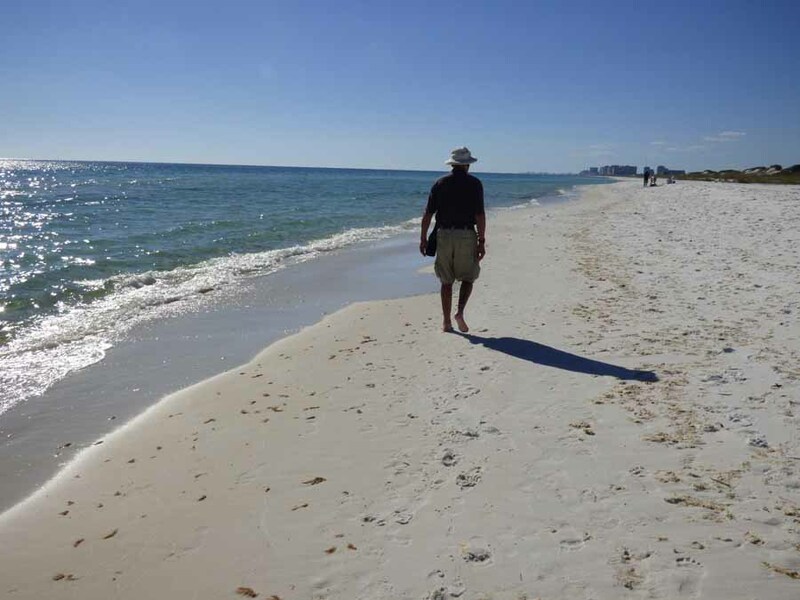 We visited the beautiful beaches of the Florida panhandle. We also visited friends: Cissy Betz in Palm Harbor, Bill and Pam in The Villages, and Joe and Linda Coffey in Port Charlotte, Florida. I can’t leave out our stop at Alliance Coach, the RV repair shop in Wildwood, Florida. We seem to spend a lot of time there. 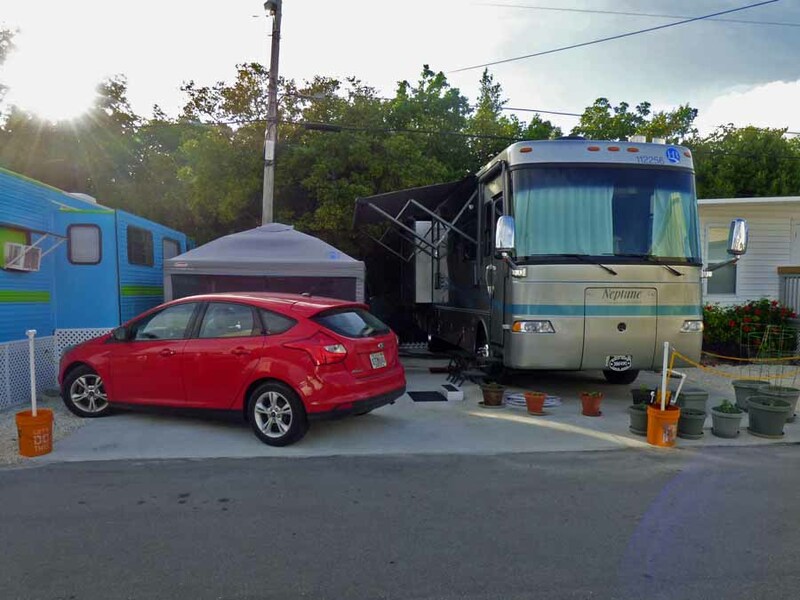 We were back on our RV site in Key RV in Marathon in November. We set up our screen room and I planted my garden. Then I got to work on my book about Big Creek. Andy has been busy straightening up the space behind our storage shed in December. We had “stuff” piled up back there. 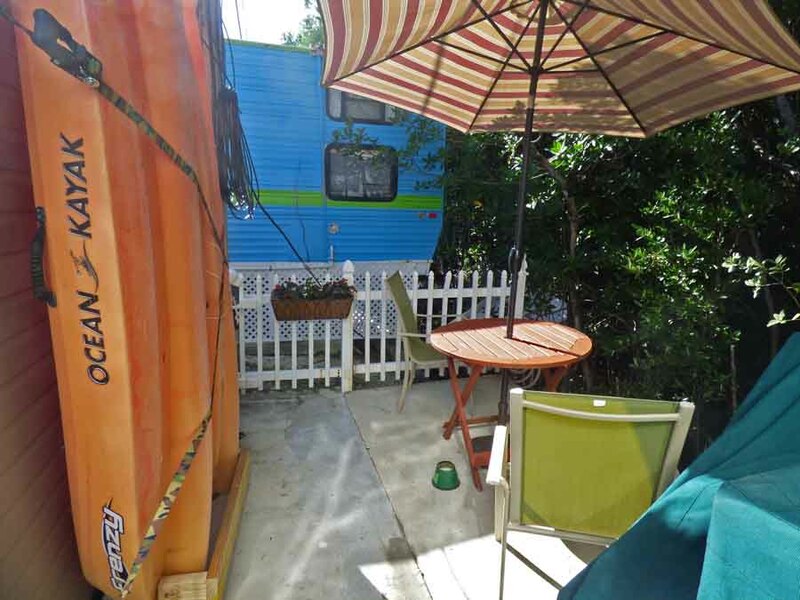 He put the kayaks up against the shed, got a bike rack for the bikes (in the lower right corner) and set up a table and two chairs overlooking our little mangrove forest. We like to sit out there with our coffee and gaze into the swamp when the no-see-ums are not biting. Previous Article December 19, 2015 – First Tomato! Looks,like you had a good year! Obviously a good year…and here’s to another one! Thanks Lyn, we are having a good time! It looks like it!! love all of your pictures that we get to see! Thanks. I love to take pictures so I’ll remember everything. I wish we had digital cameras when my children were small; I would have taken pictures of them every day. As soon as I posted that, I went on Facebook and they will do one for you, automatically. I was surprised which pictures came up. I’ve seen that but didn’t really relate it to this, which allows you to make a blog post. The Facebook Year in Review was just a set of pictures that chosen from what I posted over the past year. No words. Making my own blog is better. What a fabulous year you’ve had, Dinata. You’ve visited so many wonderful places and had some great times with friends and family. And all this is recorded on your beautiful photos…memories captured forever. The red mangrove blossom is gorgeous, and I’ve seen those lovely photos of Big Creek on another of your posts. I wish you a very happy and successful 2016. I hope you finish your book and can feel proud of your great achievement. Thank you Millie, I am sure going to try!